Most people have strong opinions about the types of medical care that they would prefer, should they become ill or incapacitated. Some would hope that every possible option is explored and that all known lifesaving treatments and medications are utilised, while others prefer to impose limitations on treatment. Those who can foresee situations under which they would refuse treatment can make their wishes known to loved ones and medical professionals by drawing up a document called an Advance Decision to Refuse Treatment (ADRT), or living will. ADRTs are one form of "advance statements," a term used to describe any type of documents prepared in order to help doctors and family members to abide by the wishes of patients, should the time come when those patients are unable to make such decisions for themselves. In general, advance statements can include personal preferences regarding all levels of medical care, personal care, and even location of care. For instance, a person may specify that in certain health situations, they wish to remain at home, rather than staying in a hospital or extended care facility, want only nutritional support, and choose to refuse any type of surgical procedure. Adults 18 years of age or older have legal rights to make health decisions for themselves, even if those choices can facilitate their death. Many people fear incapacitating illness far more than the prospect of dying, and for those people, preparing a detailed ADRT in advance of illness can make their wishes known and these documents are legally binding. It is important to note that ADRTs are used to specify which treatment options that a patient wishes to avoid, but cannot indicate requests that specific treatments be utilised, including the wish for euthanasia. As stated above, an ADRT cannot specify courses of treatment that a patient wishes to have, but that is not the only limitation placed on the use of these documents. There are times when doctors are required to override the wishes of a patient, based on their ADRT. Most often, this comes into play when a treatment option is available that was not existing at the time the document was drawn up. For this reason, it is important that patients review their ADRTs or other advance statements regularly so that the documents clearly reflect their current thinking, increasing the chances that their wishes will be honoured. Medical professionals have a duty to serve the best interests of their patients, but in order to do so, they must first know the individual preferences of each patient. 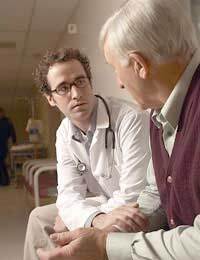 Discussing preferences with family members, the GP, and any others involved in providing medical care can help to assure patients that they will be able to have a say in their care, even if the time comes when they are unable to express themselves. While ADRTs can, in theory, be verbal rather than in writing, this dramatically increases the chances that errors will be made in interpreting a patient's wishes. By drawing up very specific, legally binding documents, patients can take comfort in knowing that their care will be determined with regard to their wishes. Sometimes, oral agreements are insufficient from a legal standpoint, and must be executed in writing. If a directive specifies the refusal of life-saving treatments, as is the case with many ADRTs, a written document, signed and witnessed, must be in place. Doctors typically strive to respect the wishes of their patients, but they must operate within the law. Naming the person who should speak to your doctor on your behalf, in the event that you are unable to speak for yourself. Specific treatments that you are opposed to. Whether or not to resuscitate you, should the need arise. Whether you wish to be kept on a ventilator. What, if any, lifesaving measures you want medical staff to take on your behalf. When, if ever, to remove a feeding tube. Considering the possibility of our own illness and death is a rather unpleasant undertaking, but advance planning can be beneficial in a number of ways. Not only does preparing an ADRT ease the mind of the prospective patient, but in the event of a medical emergency or prolonged medical crisis, it can relieve family members of the burden of guessing at what should be done. Found article informative, helpful but not helpful that there is no link to downloading an ADRT form.